As we head into the warmer months, soup may not be what is at the forefront of your recipes, but wait! 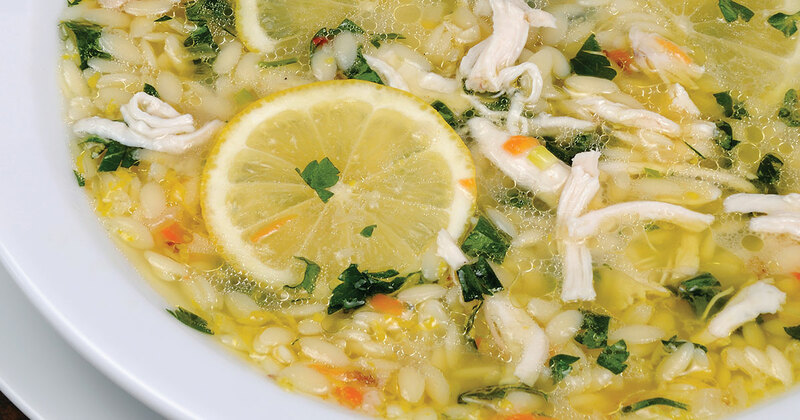 How about Lemon Chicken Orzo Soup. The citrus provides the fresh spring feeling your taste buds are yearning for but can still warm your bones on those chilly nights. This recipe has all the components of a creamy soup (without the cream) and can be easily tailored to your dietary needs. Simply use a gluten free pasta if needed or even a whole wheat option if you’re looking to prepare for your summer bod. Heat a large soup pot over medium heat. Add olive oil, carrots, onion and garlic. Sauté until fragrant and tender, about 10 minutes. Add the broth and bring to a simmer. Add the orzo and cook for a few minutes until softened. Stir in the chicken and remove from the heat. Whisk the eggs and lemon juice together in a small bowl. Slowly add a ladle of the soup mixture into the egg mixture. Add your warmed egg mixture back to the soup pot slowly and stirring constantly. Finish by stirring in spinach, salt, pepper and dill. Season to taste.